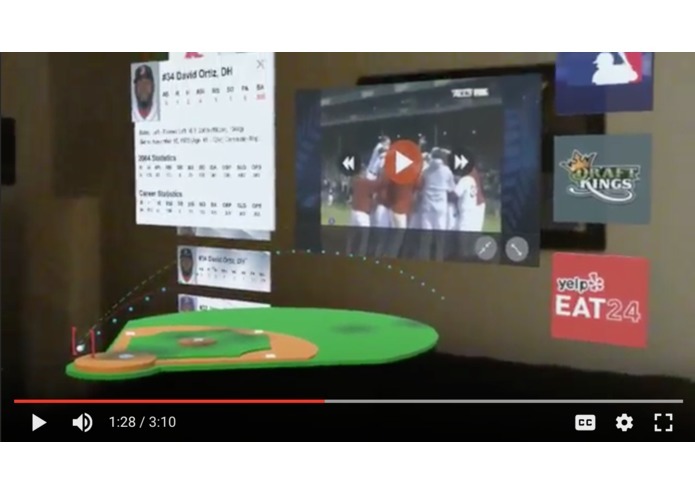 VR has been heralded as the biggest thing to come along in years in games and entertainment… what does this mean for baseball sports viewing? Currently, approximately 70% of television viewers are simultaneously engaged online. 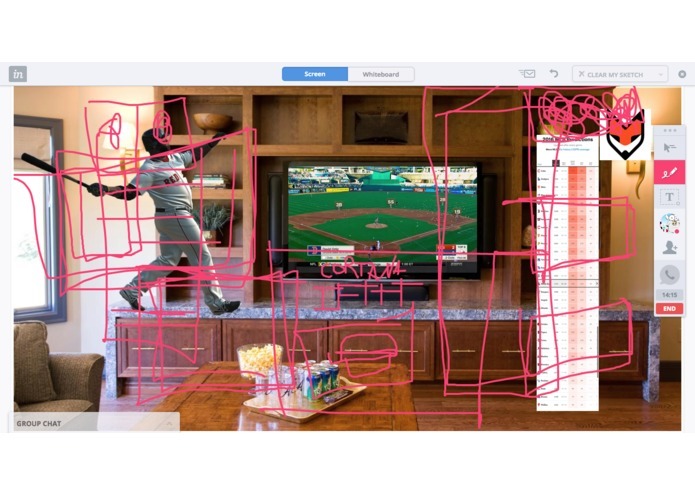 What could the optimal baseball viewing experience be? What can we really deliver? Turn Two gives users an immersive event platform, with access to anything they desire - right at their fingertips, in real time, through 3rd party application integration of resources that are currently (or will soon be) available. We built this tool by imagining what was possible, talking to each other about what we really want to know (or do) during a game, and outlining an iterative roadmap for design & development for a minimum viable AR product. We started with the game viewer: watch your team wherever you are, at whatever size you like, with on demand style controls. 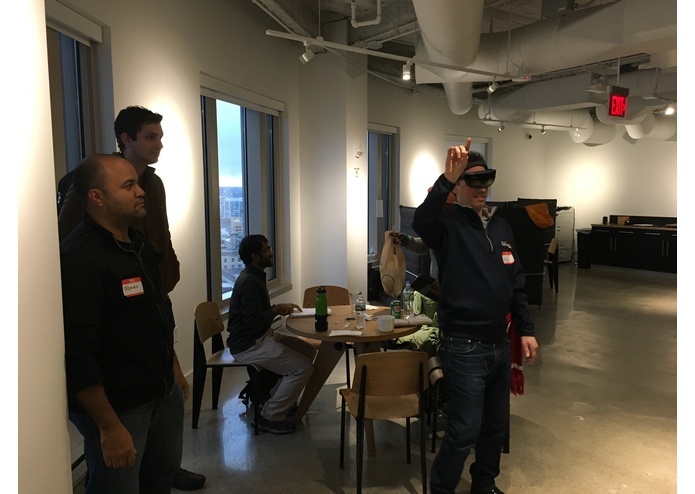 Next, we approached the sabermetrics - how could we revolutionize statistics and the box score for a VR experience? What should a digital baseball card be? Then we started to imagine what key 3rd party apps could provide value and generate revenue. Partnerships with subscription services will be key - MLB network, Fantasy sports - and of course, FOOD could deliver transactional fees. Our primary challenges were the limited time allotted, and the tools currently available. 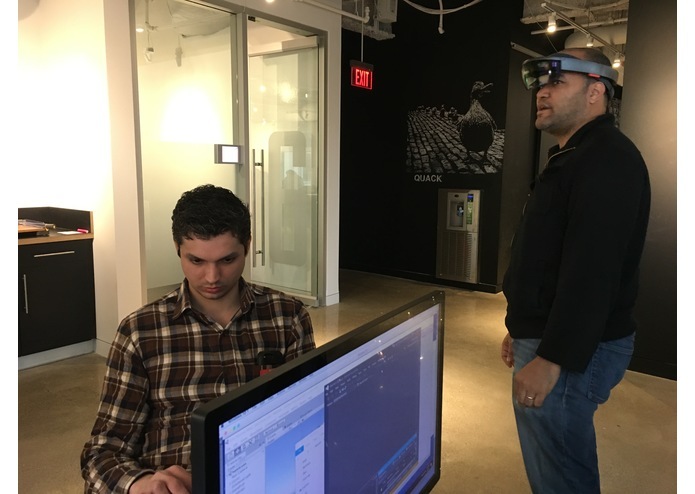 Most of the tools are still hard to come by and a bit awkward to use - the fact we had access to a hololens was a primary driving force behind our idea. The 3d rendering tools are much more labor intensive because unlike front end web frameworks, for instance, there aren’t many resources. We’re very proud of the fact that we came to the session today with an idea we’d discussed, and were able to create a functioning POC that shows basic functionality and provides a vision of where we’re headed. We learned the difference between our initial idea of an MVP and the true definition of “version 1.” We learned how to fetch the data we want, and where to get it from. Now, we can easily tie it together to make the application functional - rather than just a POC.